Flamingo Blvd & Sands Blvd. Hotel Valet parking is available as well as a self park garage. Ruth's Chris Steakhouse at Harrah's Hotel & Casino is located center strip of the famous Las Vegas Blvd. There is a public transit bus stop in front of the hotel. The Las Vegas monorail also has a stop at the hotel. Legendary leader in fine dining steakhouse cuisine. 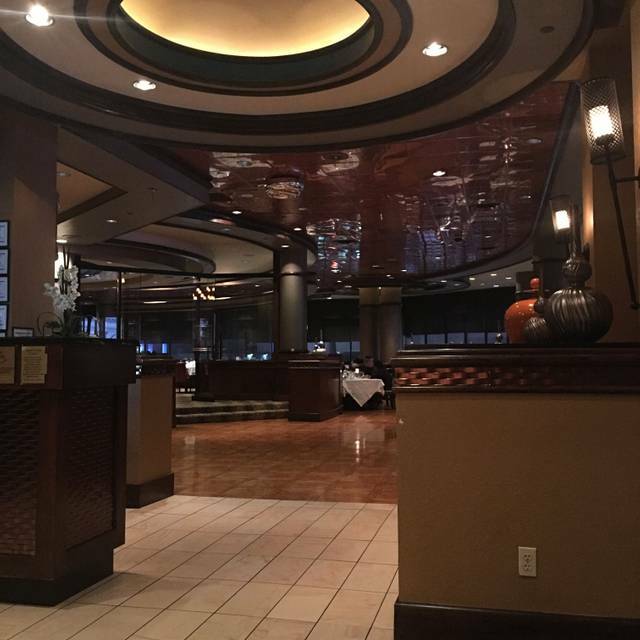 You'll be treated to an outstanding dining experience at the legendary Ruth’s Chris Steakhouse. Known for USDA Prime Grade steaks and impeccable service.. Ruth’s Chris Las Vegas boasts a spectacular view of the famed Las Vegas "Strip." Ruth’s Chris also has a delicious array of appetizers, desserts, hand-crafted cocktails and an extensive wine list to appease the most distinguished palate. Fonseca, Port, Porto, "Bin 27"
Graham's, Port, Porto, "Six Grapes"
Taylor Fladgate, Tawny Port, Porto, "20 Year Old"
Taylor Fladgate, Tawny Port, Porto, "30 Year Old"
The Royal Tokaji Wine Company, Aszú 5 Puttonyos, "Red Label"
My wife and I always enjoy our meals at Ruth's Chris. This was no different. The only issue was that I wished they had the BV Rutherford wine for our dinner. They were out. Oh well. Had a fantastic dinner!! I usually go to other steak house at Las Vegas, but this place will be the preferred from now on. Besides the steak, the crab cake was awesome!! Well I have been to a few Ruth Chris locations with great food and service, this Vegas location was the negative exception. Service was not there when needed, steak not cooked properly twice, finally replaced with a property cooked steak. Manager really did not care about our experience. Sad maybe just an off night but other similar reviews suggest more the norm. I was so happy my boyfriend enjoyed himself it was his first time and he loved everything. Wonderful Thr service was amazing and the overall feeling Of Thr place was relaxing and romantic. Very nice ! The creme brulee was amazing. Very fun and staff was on top of things. 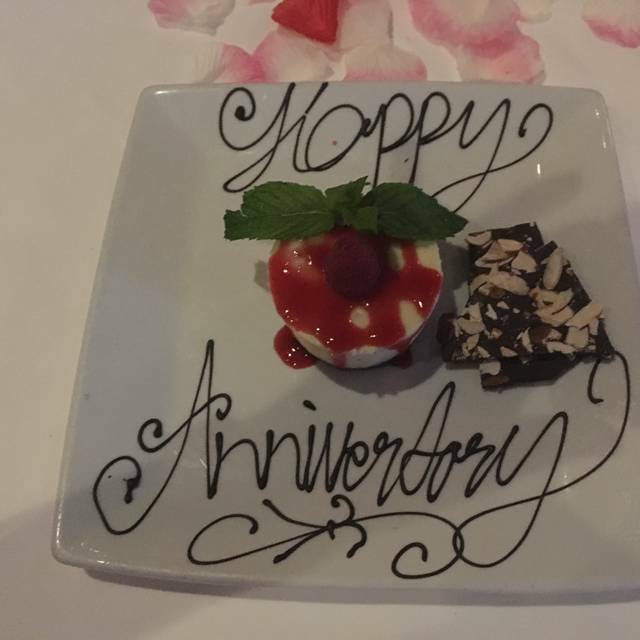 We had an amazing meal, great service and the entire evening was perfect. Stayed at the Harrahs for 12 days. This restaurant is a great place to go after a long day at work. Don’t need to go far for an awesome meal. Amazing food served in luxury setting. Very very helpful and professional staff. Attentive and friendly. Went to the restaurant based on reviews and didn’t quite enjoyed it as if had hoped for. All food was cooked in so much butter and was so greasy. My steak was not rested at all before being served. The crab with mango and avocado was a nice and light appetiser. The cocktails were pretty average too. Service was good though. Service in general in Las Vegas is so much better than we experienced in New York. Terrible Terrible, Sorry- everything was great, until our 40oz Porterhouse arrived at our table, all cut up into Medallions. We ordered medium and it came to us raw, in areas - to over cooked - nothing on the menu said it was coming in pieces, it looks like they tried to speed up the process and just killed a beautiful piece of Prime beef that was also pretty tough, the Filet side was just okay! The Waiter and the manager agreed with us. The main problem, is, that was our night out, for 1 Nice meal. 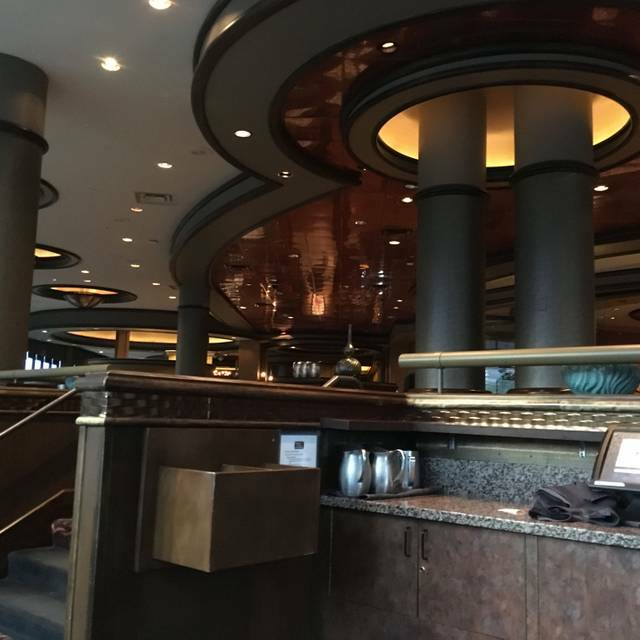 we have been to 3 other Ruth,s Chris restaurants Hawaii Florida etc. that is why we came back. Ruined our last evening in Vegas ! No dinner was eaten! They did comp the bill, we would rather have had a great meal as we exspected. 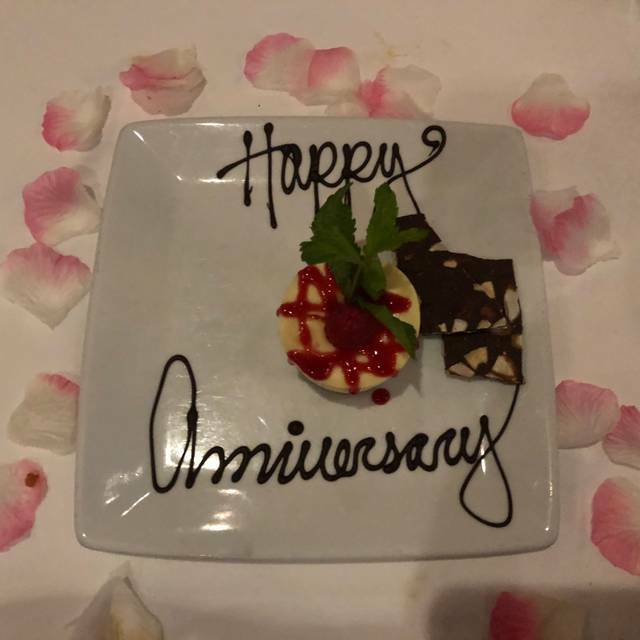 Amazing anniversary meal for my wife and I! From the salad do the dessert, it was the best meal we have experienced in Las Vegas. Steaks were not cooked as ordered, one person had to return it to get it medium rare instead of well done and the service was not great either, the waiter was unable to give us a regular attention. Friendly and attentive staff; Jean and Gina were great. Nice views, great food. Always a pleasure to dine here. Thank you. Our anniversary dinner. So fabulous, what a special treat. Our waiter Joe made it even that much more special. Best steak I have ever had! Our server was excellent. Very delicious food but be prepared to pay for it! Very disappointed in the food. Very mediocre for the cost. Service was just ok. 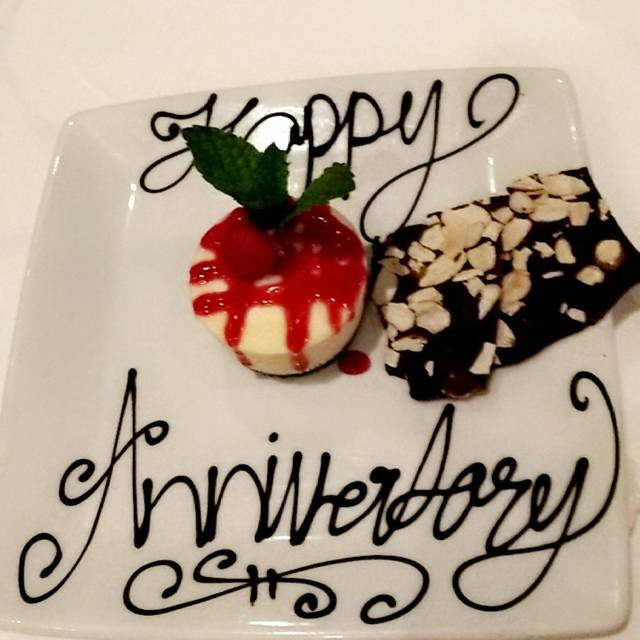 Always have wonderful experience at Ruth Chris Steak House. From the bartender to the server everyone was very attentive and made us feel welcome. The food was delivered in a reasonable time and my steak was perfectly cooked. Waited 10 minutes to get our drinks. Then dinner was served and the crab legs were cold when served and they did not bring any drawn butter. Had to wait 10 minutes for the butter so by then the crab legs were ice cold and for king crab legs they were very small. We also had the lobster Mac and Cheese that was very runny and had to send it back. Steak was good. Our waiter paid barely any attention to us. At a restaurant of this caliber, I expect much better service and food. We have been to this location before, however this was a major disappointment. Meal was wonderfully delicious! Service was excellent! Great service! Delicious food. We were celebrating a girls night out and all went perfect! 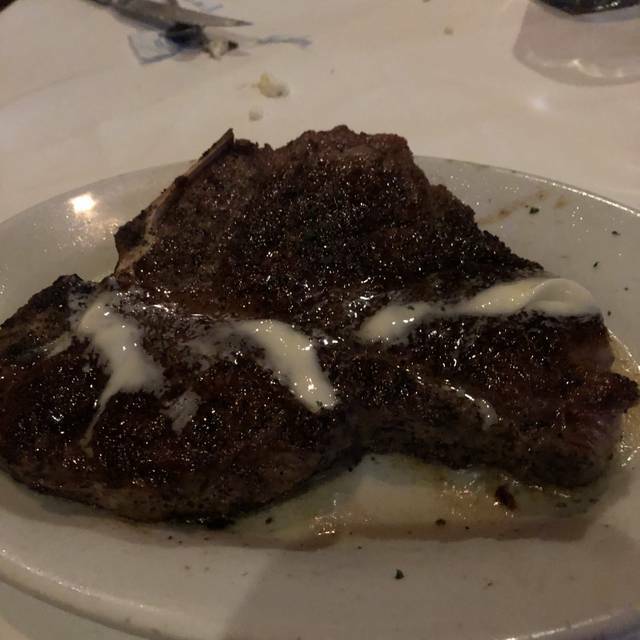 We went to my favorite steakhouse RC in LV and ordered the Porterhouse steak for 2 well done. As soon as the server brought it to our table, I could tell it was still somewhat rare. I asked her to return it and she insisted that it would continue to cook on the hot temperature plates; needless to say it did not. She returned again from the kitchen with the steak burned to a crisp. It looked and tasted like deep Fried steak. The steak was black as tar. They offered to redo it, but I did not want to wait another 40 minutes for my meal. I was given a slight discount on the steak and free dessert. The manager was very apologetic and customer friendly but the deed was done! Excellent service all around. Nice atmosphere and the food was excellent! Thanks! 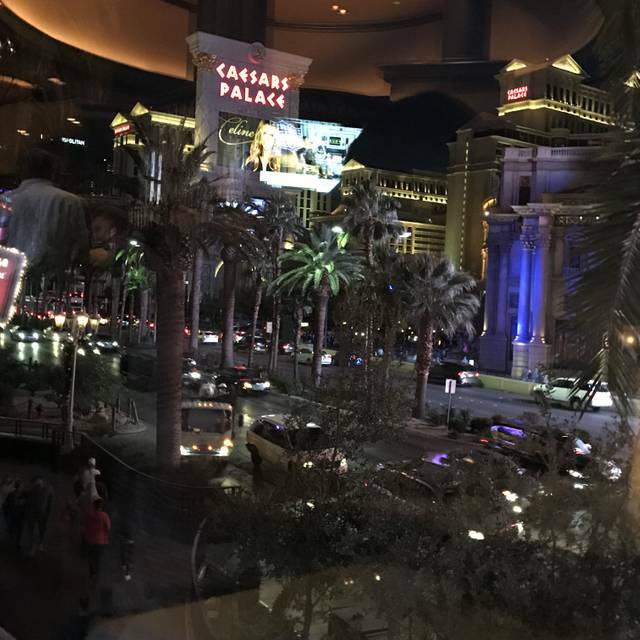 great steak & seafood selection, very attentive service, unmatched close up incredible view of the LV strip, and prices not too high for high end on the strip. and $35 Corkage was fair for LV strip, most $50. Perfect Steak House for a birthday dinner! I always enjoy dinner at any Ruth's Chris and this location did not disappoint. Very mediocre meal. Steaks were overcooked. Rare to Med rare came out very medium. Lobster tail was sort of mushy. So it was not s grest meal. 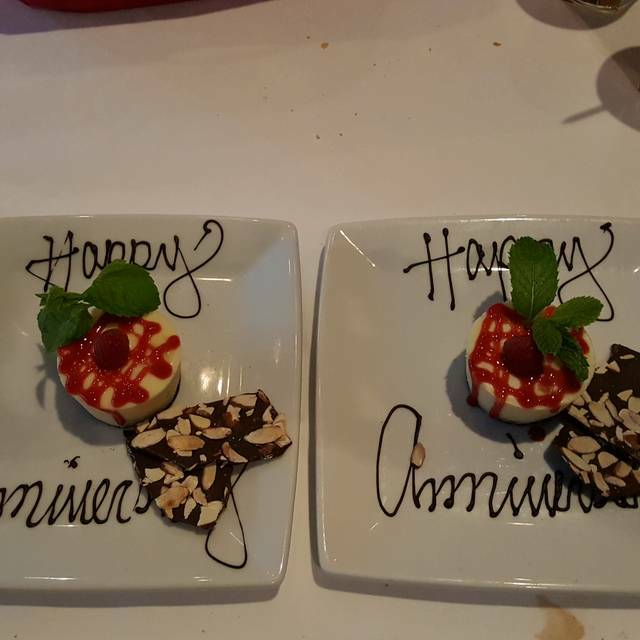 We were celebrating our anniversary. 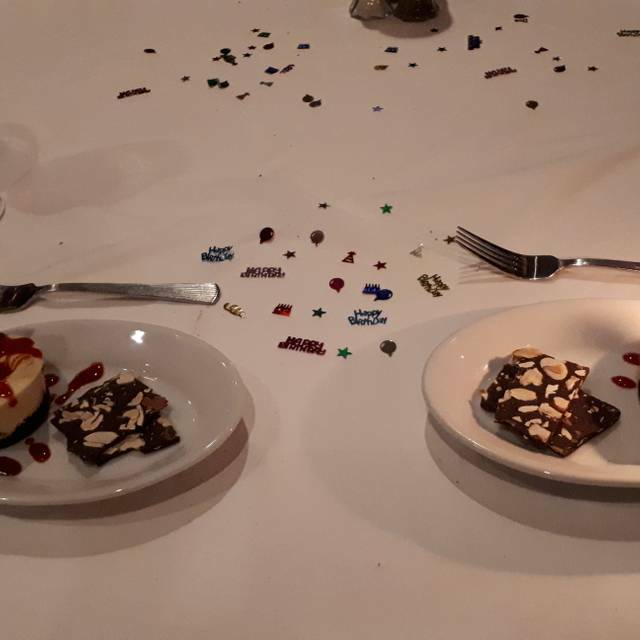 They had rose petals waiting on our table for us and brought us a cheesecake to share (free of charge). Food was great. Steak was disturbingly thin for such a high price. Overcooked ribeye and small $13 baked potato. Salad was good. We asked for extra bread and never received it. Nice looking restaurant though. $120 and left hungry, will not return.